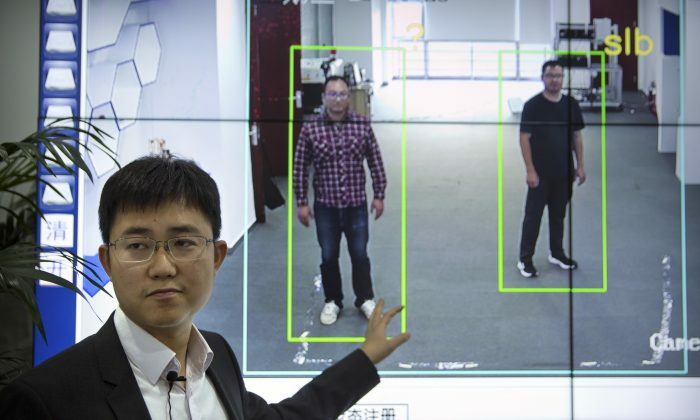 BEIJING—Chinese authorities have begun deploying a new surveillance tool: “gait recognition” software that uses people’s body shapes and how they walk to identify them, even when their faces are hidden from cameras. Huang Yongzhen, the CEO of Watrix, said that its system can identify people from up to 165 feet away, even with their back turned or face covered. This can fill a gap in facial recognition, which needs close-up, high-resolution images of a person’s face to work. “You don’t need people’s cooperation for us to be able to recognize their identity,” Huang said in an interview in his Beijing office. Security officials in China’s far-western Xinjiang, a region whose Muslim population is already subject to intense surveillance and control, have expressed interest in the software. Over the years, Xinjiang has been transformed into a vast security state, packed with police stations, street cameras, and security checkpoints at which electronic identity cards are scanned. Watrix’s software extracts a person’s silhouette from video and analyzes the silhouette’s movement to create a model of the way the person walks. It isn’t capable of identifying people in real-time yet. Users must upload video into the program, which takes about 10 minutes to search through an hour of video. It doesn’t require special cameras—the software can use footage from surveillance cameras to analyze gait. By Dake Kang. The Epoch Times contributed to this report.